Back in the late 90s and early 2000s, RealPlayer was a must-have for all PC users of the time. Before the days of flash players, RealMedia was the default format for video streaming and playback. In the span of just a couple of years, RealPlayer became an anachronistic and forgotten program from a bygone era. This makes the appearance of a RealPlayer for Android devices the more surprising and unexpected. Does RealPlayer® Beta have anything to offer in the face of overwhelming competition? 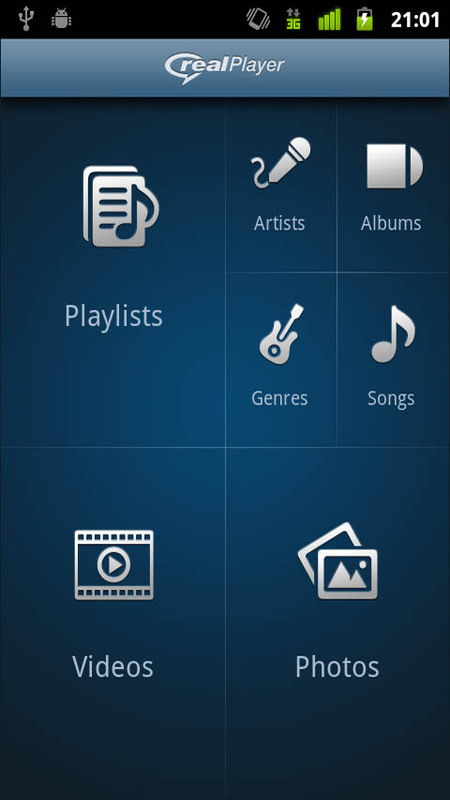 There’s an abundance of various music and media players available for Android. And although RealPlayer may no longer be very influential, the name still rings a bell among most users. That’s why I decided to give this app a try and see how it fares as a beta program. Just like the original RealPlayer, the Android app version tries to bring together all of your music, pictures and videos in one place. Although RealPlayer® Beta manages to accomplish this task; it’s not as great as it sounds. 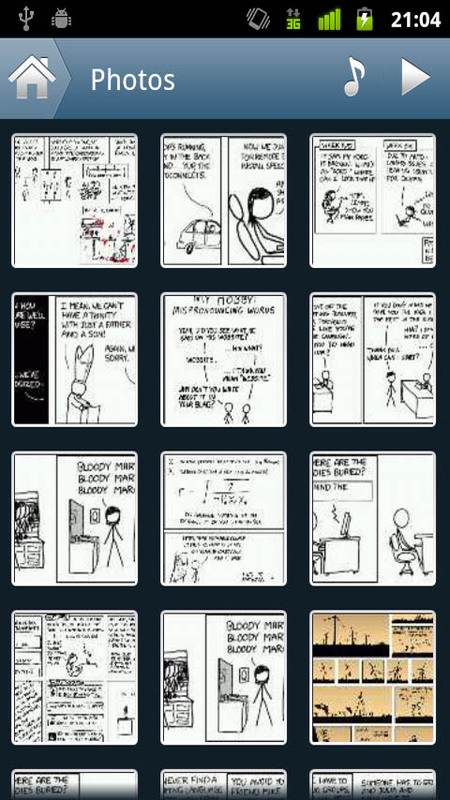 After start-up, the app takes a while to scan through your phone’s memory to find all of your media files. Updating the library may take some time, but this is a common issue with most media players. It took around 15 minutes to add all 12GB of my media files to the RealPlayer library. The app’s main menu is divided into four large sections: playlists, videos, photos and a smaller subsection that includes music specifics (artists, albums, genres, songs). Nothing particularly creative in terms of layout, but very simple and easy to use. 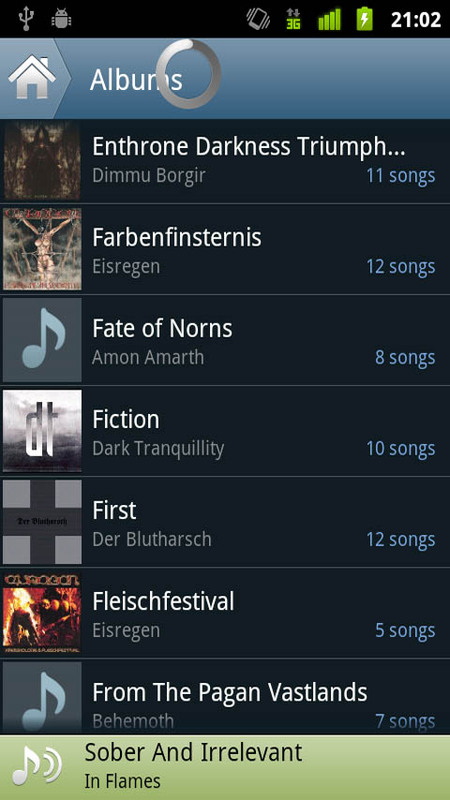 Playlists: The playlists can be organized according to recently added, favorites, most played and folders. Tap the menu button to select which folders should be used and determine the time period for recently played tracks. RealPlayer uses the same categories as any typical MP3 player on the market. The app automatically recognizes all the song details and information on par with your default Android music player. So far, so good, right? Yeah, except for one major problem: you can’t make your own playlist! Aside from selecting which folders you would like to play, there is no option for creating playlists with the app. Long-pressing a track gives you the option to delete the track – and that’s it! 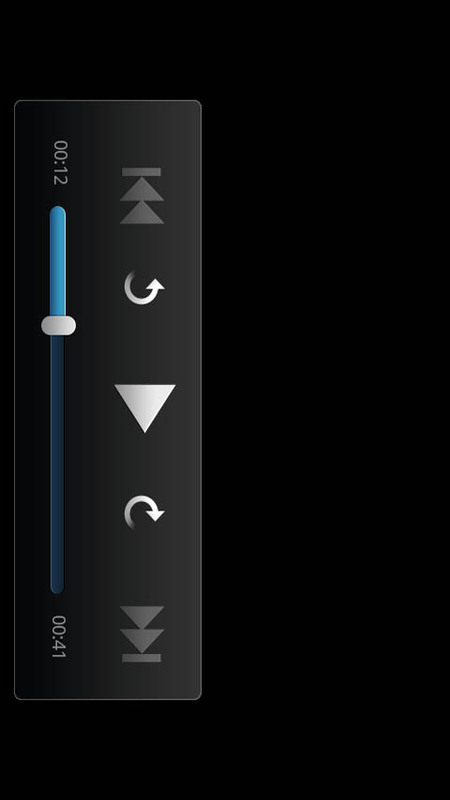 I think that’s totally unacceptable for a music player these days and I hope that they’ll add this feature to the full version. In the app’s description, the developers boast that “managing your collection has never been simpler”. If by simpler they meant lacking in essential features, then they’re right. Reducing the number of features may make the app easier to use, but it doesn’t make it good. And that’s just the tip of the iceberg because – as surprising as this may be – RealPlayer doesn’t have a search bar. So you can forget about finding specific tracks in your vast music collection. Oh and while we’re at it, the RealPlayer also doesn’t have an equalizer and lacks comprehensive music details about your music track. Attach your Android to your computer, open the music folder, and search for albums in Windows (or MacOS and Linux). This displays all the album covers in your music folder. Just rename all of them into “albumart” which will prevent them from showing up in your picture gallery. Compared to this convoluted and complicated way of doing things, RealPlayer® Beta makes this much easier: just deselect your music folder by going to settings and picture folders in RealPlayer. The pictures can be arranged by date and be displayed as a slideshow. But don’t expect any additional perks: folders are not displayed, no multitouch zooming, and the app tends to show some pictures in duplicate. As far as the video player is concerned, the videos play smoothly, but there are not additional options. RealPlayer® Beta may cover music, video and photo, but it doesn’t do a very good job of it. An app has to offer something special nowadays in order to really stand out and the RealPlayer looks more like a cheap knock-off of a media player except with significantly fewer features. I can’t imagine people rushing to download RealPlayer for their Androids any time soon. All we can hope for is that the full version can mend some of the app’s biggest problems. For the moment, however, RealPlayer® Beta is basically a waste of time. Surprisingly, the design of RealPlayer® Beta is actually pretty good. The app is in fact very easy to use, but that’s hardly a feat given the limited number of functions and features. At least in this category there is nothing to complain about. RealPlayer® Beta did not lag or crash at any point. RealPlayer® Beta is available for free from the Android Market. There are, however, much better free media players out there - take my word for it.